As Moms who couldn't use a little freetime? Especially when cloth diapering? 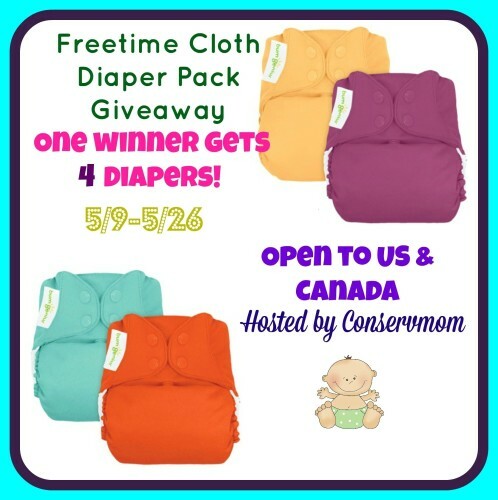 One Lucky winner will get a set of their choice color bumGenius Freetime diapers. The perfect diapers to help you when on the go. No need to stuff! Just wash and go! So head below and enter to win! In my freetime I love to crochet and sew! I crochet and sew items for my own children, friends and family as well as for craft fairs and also for auctioning off to help fund Muscular Dystrophy. As a busy mom of 10 I don't usually have much free time. I used to love to read.